This is my Friday finish: a pillow (not yet stuffed!) to celebrate a friend's birthday. 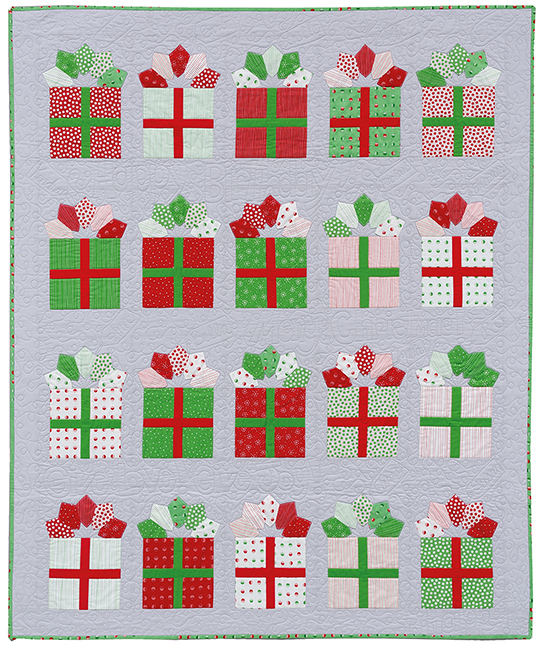 The gift, wrapped and with a very original bow on top is sure to please her, particularly because 'the wrapping' was made out of a gardening-theme fabric as she loves to work on her garden. 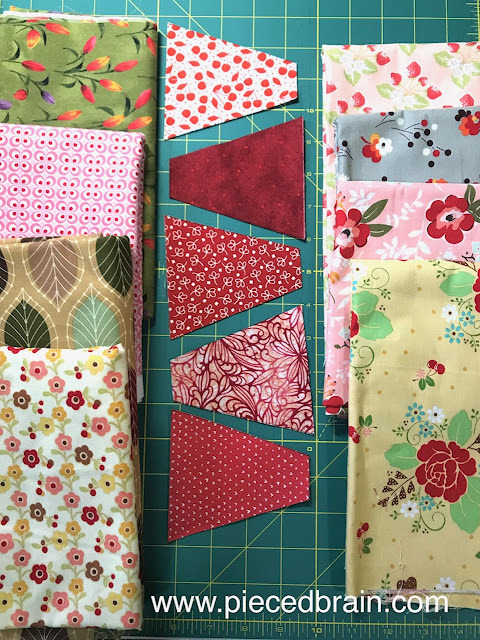 First I cut the Double Wide Dresden wedges from assorted red prints. The next step was to audition fabrics for the gift wrap. I had so many choices but in the end, chose one that was not in the original lineup. I love this block!!! 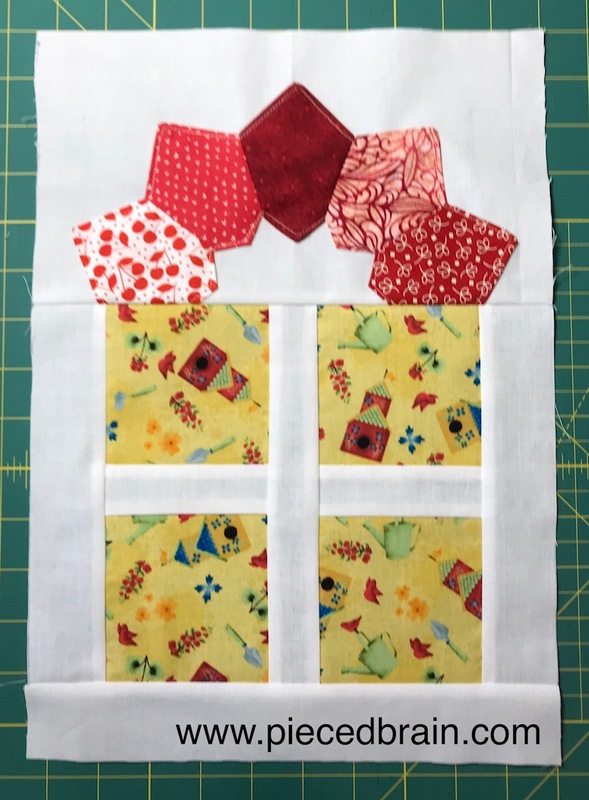 At first, I was going to turn it into a wall hanging but the idea of a pillow won me over very quickly. Before adding the backing I free motion quilted the pillow front with leaves and flowers, echoing with straight lines inside the blocks. 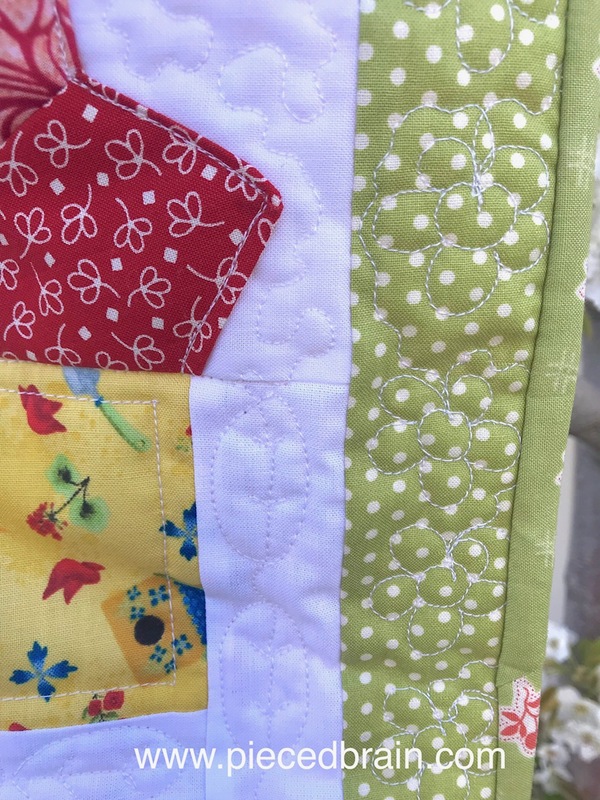 The fun feature of this pillow is that there is no piping: I finished it just as I would any quilted project. The idea is courtesy of Sarah Craig from Confessions of a Fabric Addict. She has a great tutorial here and it will change your pillow-making days forever! 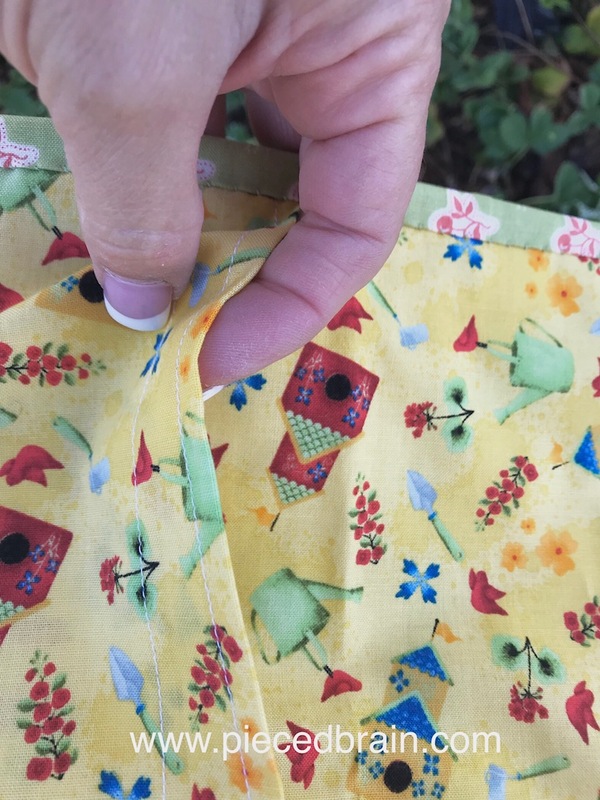 Here is the back with an easy way to insert the pillow form. Because this is a small pillow meant for a chair I will make the pillow form, add polyfill, and present it in a box to her. ... placed it on the right side of the fabric, traced around it, moved the template away and cut the shape with the ruler and rotary cutter. 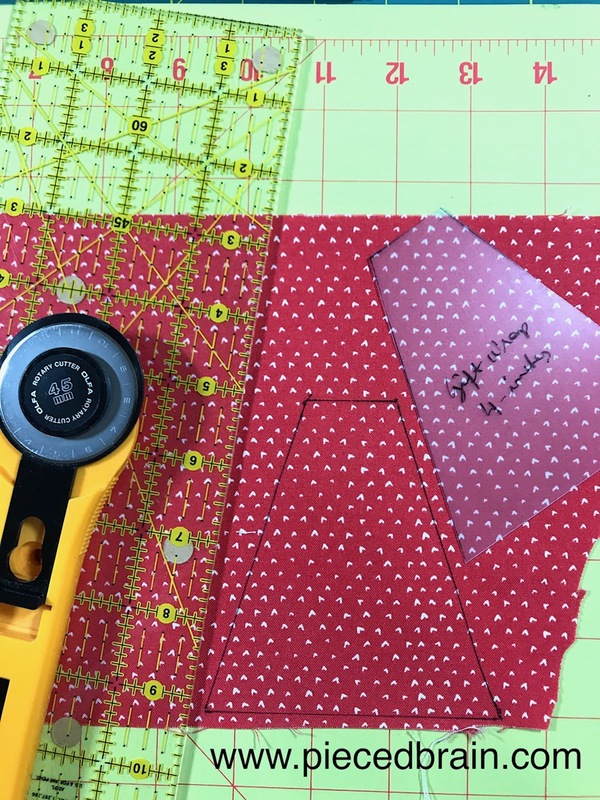 I like doing it this way because I do not damage the template and, at the same time, I protect my fingers as the ruler is thicker than the template. Photograph by Brent Kane for Martingale. Used with permission. This is Barbara's and Mary's design which gave me the idea for the project. I L O V E this table runner! It is cheerful, colorful, a fantastic home decor item or gift. This sister team version of the gift box is the best yet. 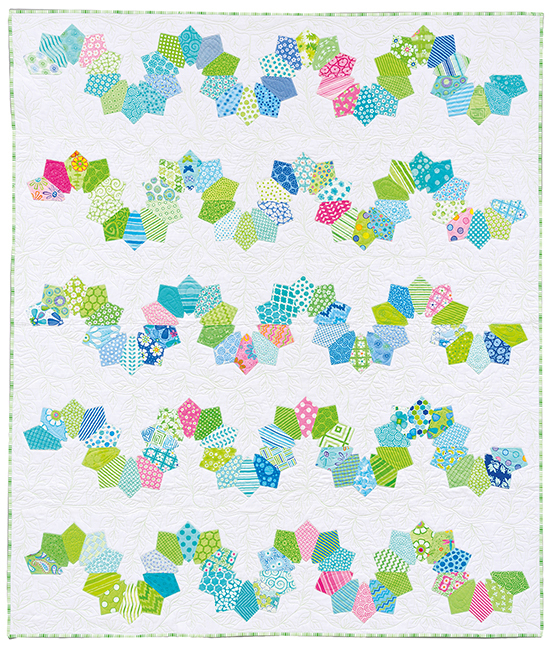 How about this Inchworm quilt? 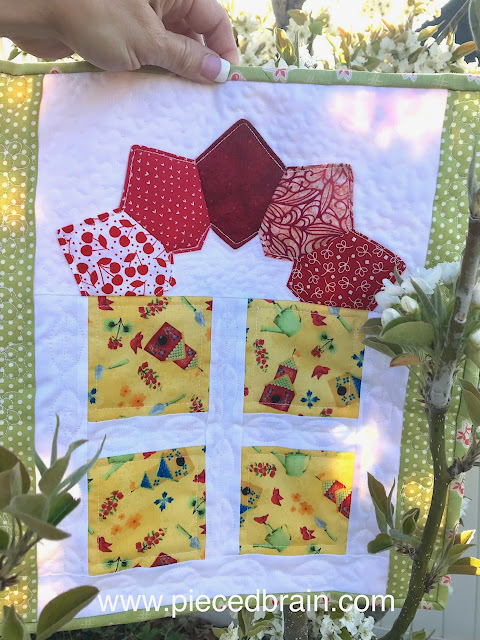 What a cool use of the Double Wide Dresden wedges in a quilt which is sure to please little kids and would look great with any fabric. 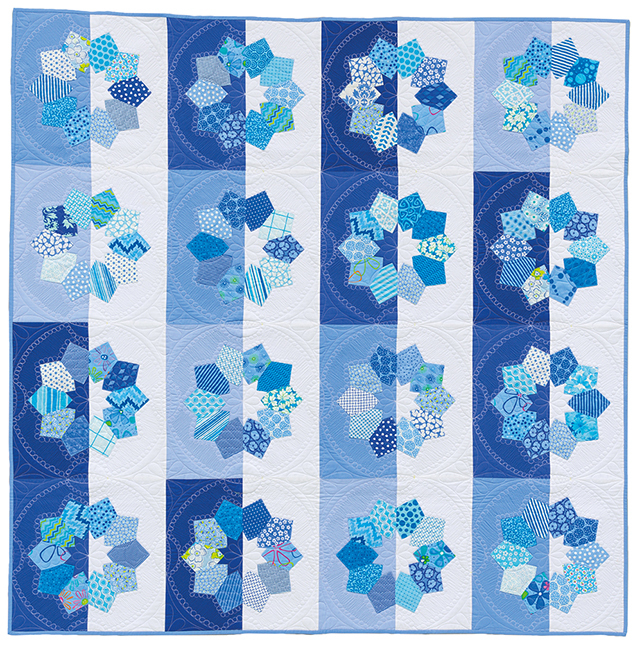 You know this quilt is on my To Do List, right? 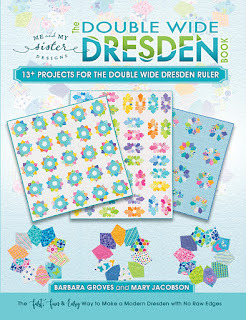 The quilts in The Double Wide Dresden Book can be made scrappy and colorful, whether with rainbow palette or many shades of the same color. 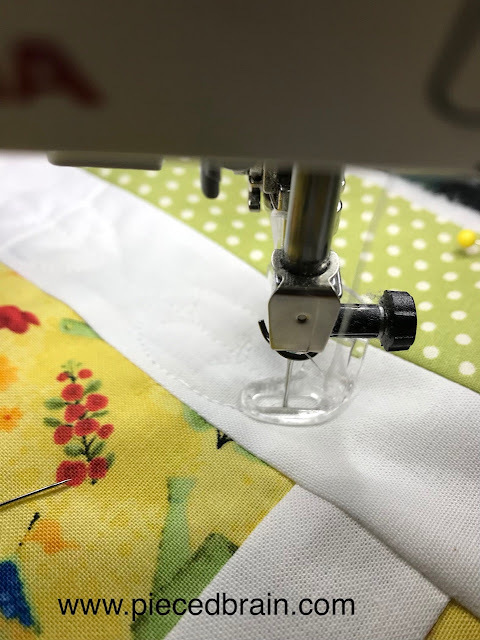 Regardless of the project you choose, you will have your quilt ready in no time because there is no hand applique' involved and, yet, there are no raw edges. 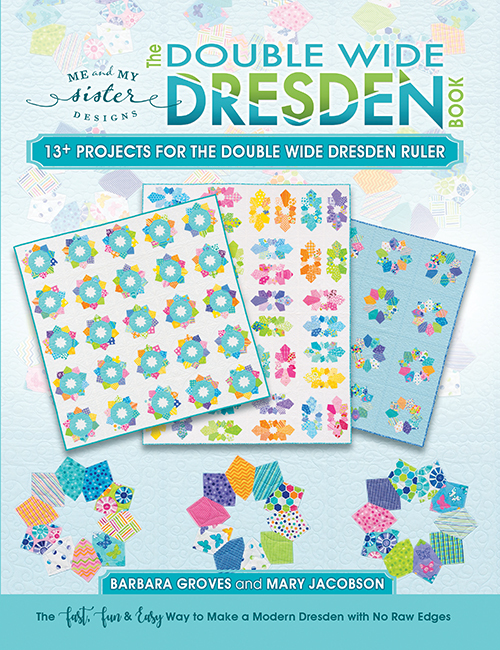 The finished Dresden wedges or plates are perfect! 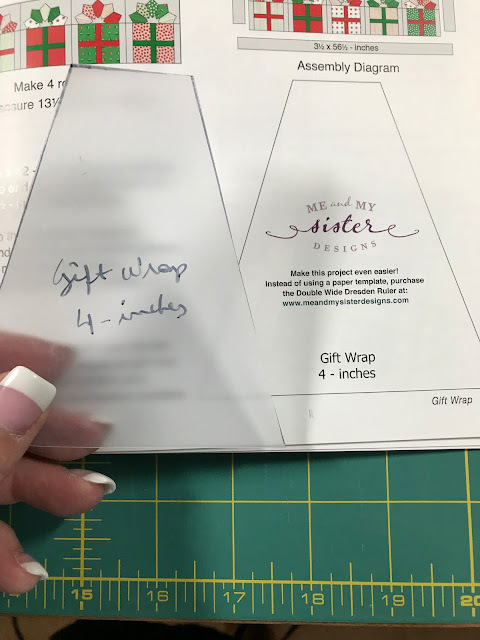 The book has easy-to-follow instructions, a "What if" section showing even more ways to work with the wedges, and their Tips and Tools. And so, I am a happy camper today. I will be joining Crazy Mom Quilts and Confessions of a Fabric Addict linky parties and check out everyone else's finishes. Thanks for the shout-out, Denise! Your pillow is adorable!! And I agree, it will change your pillow-making life forever - binding a pillow cover is so much easier than trying to turn it and get nice corners!